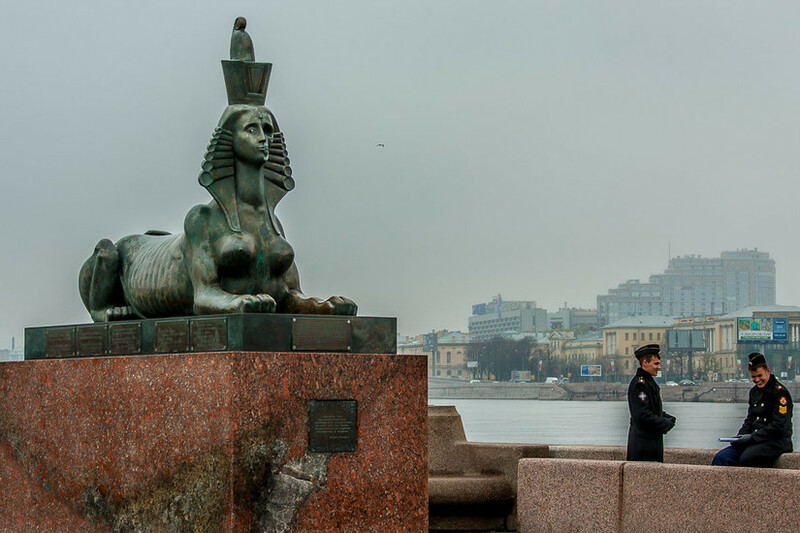 During the last ten or so years, new and intriguing statues have been appearing on the streets of St. Petersburg. So while you are off wandering the streets, enjoying the White Nights, don’t forget to keep an eye out. 1. 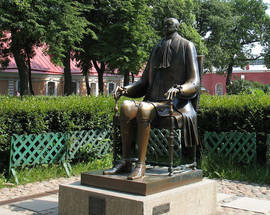 The unusual bronze sculpture of Peter the Great, with his small head and spidery long fingers is found in the grounds of the Peter and Paul Fortress. 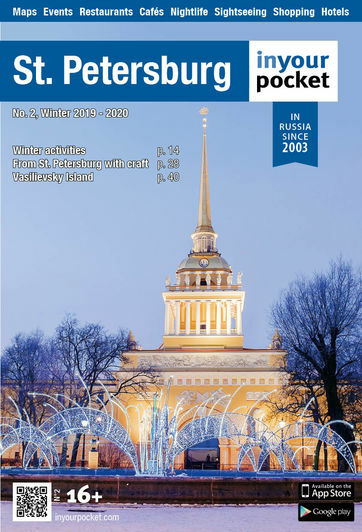 It was created by Russian artist, Mikhail Shemiakin. 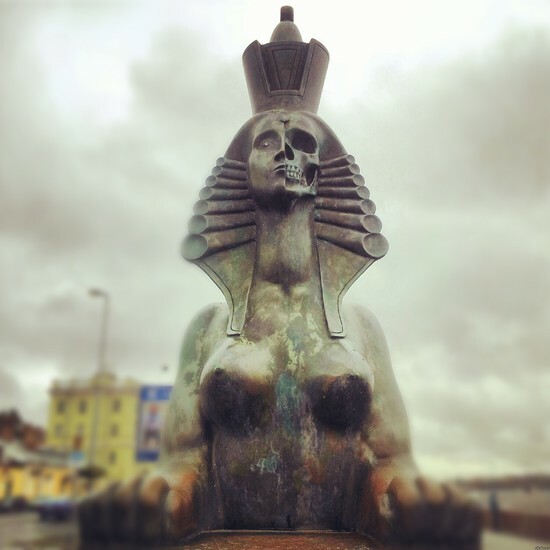 Erected in the early nineties, the statue initially attracted much controversy. Why is his head so small? Why does he look like he is sitting as if awaiting execution? Some see this interpretation as the image of the Tsar as he was the imagination of the public, the presentation of Peter’s ‘alter-ego’. 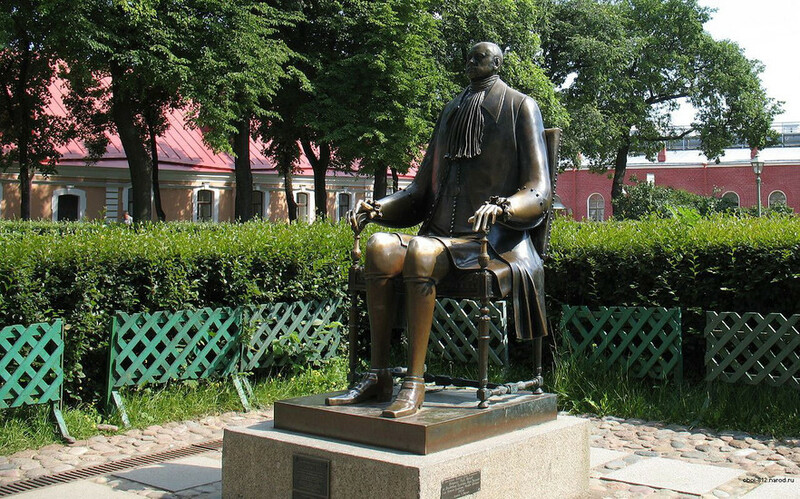 His head was actually recreated from the Tsar’s own death mask. It’s possible to see by the shiny smooth knees and fingers, already worn down by who knows how many admirers, clambering up to sit on Peter’s knee. 2. The Petersburg Angel. 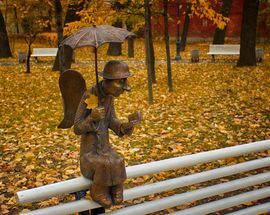 A very cute new monument has appeared in St. Petersburg’s Izmailovsky garden on the banks of the Fontanka river, dedicated to the spirit of the city’s older generation of ‘kulturny’ (cultured) citizens. 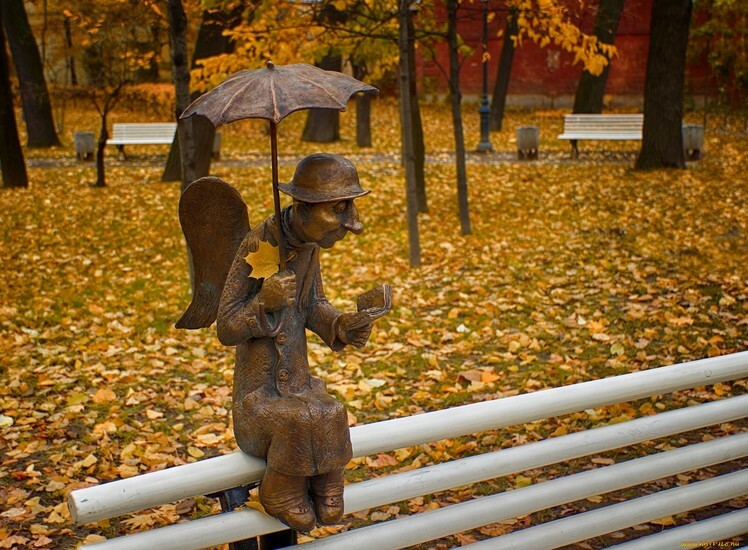 The bronze ‘Peterburg Angel’, which was designed by a famous local puppet master, sits atop one of the park’s benches, with a book in his hands and an umbrella over his head. 3. 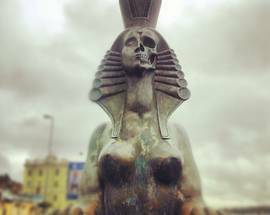 The eerie two-faced black Sphinxes sit on the Robespierre Embankment. The face is divided into two parts, the side turned toward the city is a regular human face, while the other, facing onto Kresty Prison is that of a skull with eye socket. Half human face - Half skull. Spooky. 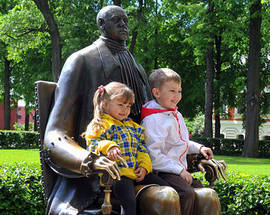 This monument, also created by Shemyakin is dedicated to the victims of political repression in the Soviet Union. Kresty Prison was the place where many victims began their journey to the gulag or to exile following persecution. Shemyakin was himself a victim during these times, forced to undergo compulsory treatment in a mental institution before being asked to emigrate from the Soviet Union in 1971. ​4. 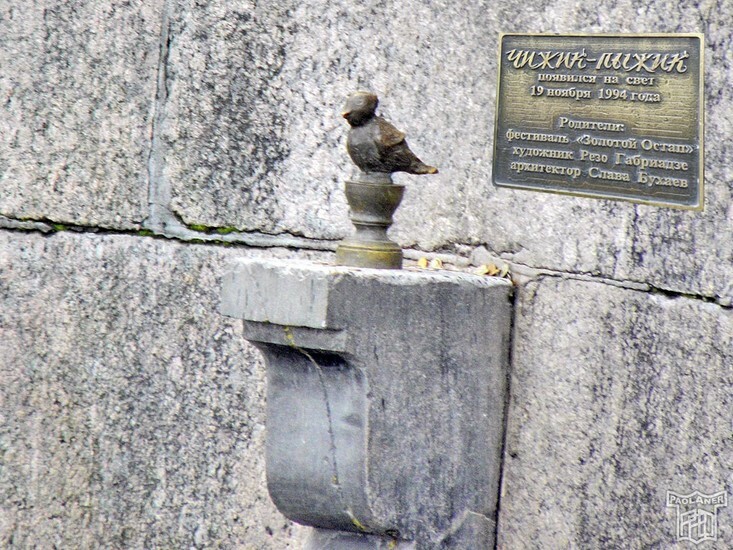 Chizhik Pizhik is probably the smallest tourist attraction in St. Petersburg. 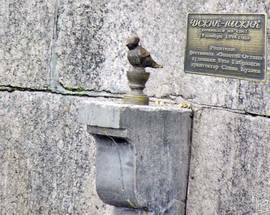 You can usually see a crowd of people crowding around trying to land a coin on the little ledge supporting the statue. 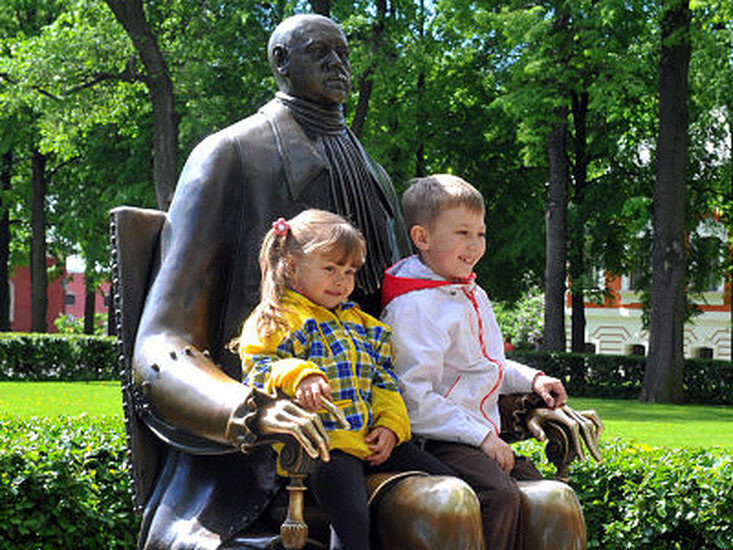 It was designed by Georgian artist Rezo Gabriadze, who said, "Chizhik Pizhik helps students to get through unhappy love-affairs and get around on public transport without having tickets." Thanks little Chizzik! Where would we be without you?